He's also the person who wrote/is writing Numeria, the RPG system/world they're setting the new game in. Also, he's the one who wrote the setting the game is using, Numenera, which is a sort-of spiritual sequel setting to Planescape, which he was heavily involved in. Huh, I guess one of the unlocked writers, Mur Lafferty, lives kinda near me. Also, I like the idea that the writers are literally unlocked. Like, they're stashed away in a dungeon somewhere, and the doors open automatically when their tier is reached. I feel like someone should link the Numa Numa kid. So is this game going to have the twenty novel's worth of text to read? Cause uh.. that was the worst part of Torment. Couldn't disagree more. Torment was one of the few games in which I actually enjoyed reading the text. Isn't that the whole point of Planescape Torment? Otherwise you'd be better off playing Baldur's Gate or Icewind Dale. So is this game going to have the twenty novel's worth of text to read? Cause uh.. that was the best part of Torment. I found the story interesting, I just found the presentation lacking. I don't want info dumps in my games, or movies. I'd rather read a book for that kind of enjoyment. Games should be much more interactive. I found the story in Baldur's Gate and Icewind Dale uninspired. Torment had good stuff in there, it was just annoying that they used text boxes to tell it. I just stared at that gif for 3 minutes straight. Now I think I need a nap. Probably should go play a different game. And a different genre. Generally, I agree with you but I feel dialogue trees and ability to define who the Nameless One is, was unique to games. Now, my problem with Torment was that the combat system was terrible. Made it very difficult for me to progress. That's the main reason I'm not willing to support the kickstarter. I couldn't make it past the terrible combat system, I did struggle my way deep into thegame, and that has me hesitant to support this. The Infinity Engine was peculiarly badly suited to fit Planescape: Torment's combat. Translating the 2nd Ed AD&D rules to digital form was already awkward, but the story didn't really fit the combat requirements either. My view is that since they're designing from scratch / porting the Numenera rules it should be much less of an issue this time. I also have an extremely hard time understanding any sort of D&D rulesets. I don't get what dice rolls mean and find it very unintuitive. So apart from the combat being broken and slow, it was also very confusing for me. Not sure I agree, I'm a big fan of role playing games. I'm not sure I could describe it in detail, but I found Fallout to have done this much better. I was going to say that it just seemed like you didn't like the delivery method of the story (lots of text), but considering Fallout has the same structure, I don't know what to think. Maybe you think Fallout was better because the story wasn't as complex, so you could ignore most of the info-dumps and still get the gist of the story (find water, stop Master)? Planescape:Torment did indeed have THAC0. I spent most of my time as a warrior with high intelligence and charisma, because anything else wasn't particularly survivable. What did I think of Arcanum? Great idea, they had a wonderful engine, but the game itself was broken and just didn't work well for me. For anyone who liked Darklands, take a look at Inquisitor which released a few months ago. A "detail-oriented" old school RPG with lots of conversation choices which in turn affect the play of the game, in a big way. I played the beta and had some fun with it. Just ran across mention of the full release yesterday, so I grabbed it from Gamersgate. It's also on GoG. You're exactly right that I found the presentation inappropriate. The story was interesting. I found Fallout to be less wordy. Again, I have no problem with reading in and of itself, I love books. I just think the video game medium is not appropriate for that kind of storytelling. In a medium that's like video games or movies, show me rather than tell me should be the overriding philosophy. They're just to provide a random chance of success for some task, with the min roll for success set by the difficulty and bonuses provided by player skill. Though I'll grant that things are a lot more straightforward with current D20 rules than when Torment was made (does Torment have THAC0?). D&D originated from tabletop war games, so a lot of the original mechanics are based on that (armor class, hit points, etc). That's actually where the old mode of negative armor class came from, I believe. For ship battles, a fully armored ship would be AC 0, just like a fully armored soldier is AC 0. But once you throw magic into the picture, suddenly AC could go all the way to -10. That was confusing and so they added a pre-calculated value of THAC0, which arguably didn't help at all. I beat the babel fish puzzle. Without hints. How far did you get in Planescape: Torment? I don't get your point of view, but in Planescape's defense, it was 1999 and there wasn't much advancement in the "Show me, don't tell me" department in games. It's weird because you'd be the target audience, a guy who doesn't mind reading a lot. Plus it's hard to compare it to a book, because in Planescape, even if it was wordy, your choices changed your story a big deal, and sometimes you unlocked whole sections or parts of the story just by talking. You can't exactly do that in a book. Plus it's hard to compare it to a book, because in Planescape, even if it was wordy, your choices changed your story a big deal, and sometimes you unlocked whole sections or parts of the story just by talking. Also it's hard to "Show, don't tell" the stuff that PS:T dealt with - ethics and philosophical questions and emotions and weird weird stuff. I honestly don't know how far I got, maybe halfway? But that's a guess. At some point I just tired of it and gave up. 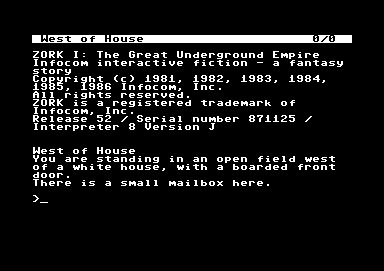 Another example of what I mean is a game like Ultima 7, there was a lot of story happening all around you without the need to read essays. Now you are beginning to understand the Lethani. Look, I'm just saying I'd like Torment: Numeral to be a little less wordy. I'm not trying to solve world peace here. I hear those words, but it's like asking it to give up the thing that made it special. Also, with a Kickstarter budget, there isn't going to be anywhere near enough money for it to be voiced enough to get a Torment-dense script out.